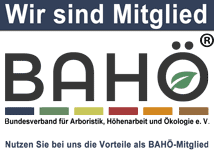 The General Terms and Conditions of Business govern the use of the Tree Stability Evaluation (TSE) computer program made available to registered users by the Bodo Siegert expert office. 2.1 The Siegert expert office makes the TSE practice program available to the user, by means of which structural calculations can be carried out on the stability of trees in the context of monitoring tree safety. 2.2 The TSE program currently may only be used for educational practice purposes. As it is merely a practice program, in no event may TSE be applied to the actual monitoring of tree safety (see § 5). 2.3 The use of TSE for the production of expert reports on stability and resistance to breaking is not permitted (see § 5). 3.1 With TSE, the user acquires the technical means and authorisation to access a software application hosted on a server belonging to the Siegert expert office via the Internet and to use the TSE functions within the scope of this agreement. The user does not acquire rights which go beyond this, in particular to TSE and the associated software application. 3.2 The user is not authorised to use TSE beyond the use allowed in accordance with this agreement, or allow it to be used by third parties or make it accessible to third parties. In particular the user is not permitted to reproduce, sell or cede for a fixed period, and above all may not rent out or lend, TSE or parts thereof. 3.3 If the user is in breach of one of the duties specified in the agreement, the Siegert expert office is entitled to bar access to TSE. 4.1 The Siegert expert office offers qualified users the opportunity of registering at http://www.tse.sv-siegert.de. This registration entitles users to use the TSE online program for educational practice purposes and to access the upcoming TSE user forum. Following registration, access to the program will be activated for the user by the Siegert expert office. For the present, the usage of the program and the access to the upcoming user forum is not limited to a specific period of time and is free of charge. However, the Siegert expert office is entitled to impose usage fees at a later point of time. Prior to changes regarding usage fees, users will be informed via e-mail. 4.2 On registering, the user will be asked to confirm by clicking on the appropriate field that he has taken note of and acknowledges the General Terms and Conditions of Business and the Terms and Conditions of Use. 5.1 The use of the TSE program requires in-depth training, which is provided by the Siegert expert office or Nürnberger Schule. Individuals with an appropriate professional qualification (agronomist specialising in tree care, tree technician) and at least five years’ practical experience in tree care and tree assessment can attend the training. 5.2 In order to verify the necessary qualifications, the Siegert expert office is entitled to request that proof of the relevant qualifications be provided. 5.3 The professional use of measuring equipment is a crucial requirement for obtaining correct calculation results. In the context of the use of TSE, only measuring equipment which is suitable for this may be used. Further information can be provided by the Siegert expert office. 6.1 The Siegert expert office is not liable for damage which arises or is caused by the use of the TSE program. Use is at the user’s own risk. Any warranty on the part of the Siegert expert office is excluded. This does not affect damage arising from wilful intent or gross negligence on the part of the Siegert expert office, its representatives or vicarious agents, or damage due to injury to life, limb or health which is the result of a gross negligent or deliberate dereliction of duty on the part of the Siegert expert office, its representatives or vicarious agents. 6.2 The user undertakes to indemnify the Siegert expert office from any damage arising through the actions caused by the user. 6.3 As TSE may only be used for educational practice purposes, the Siegert expert office furthermore rules out any liability as a result of the use of TSE for tree safety inspections (see § 5). 6.4 As the results of calculations to a large extent depend on the individual measurement values input by the user, the Siegert expert office accepts gives no warranties as to the correctness of the calculation results generated by using TSE. 7.1 The user is exclusively responsible for ensuring the confidential use of the TSE access identification details. He undertakes to keep all access codes associated with TSE secret and to store them carefully. 7.2 The access details are not transferable. The access details may not be disclosed to other parties. TSE is accessed via an Internet browser. The use of TSE requires a PC with Internet access at the user’s premises. The provision and fulfilment of these requirements is the responsibility of the user. 9.1 The Siegert expert office can change and add to the Terms and Conditions of Use of TSE at any time. The user will be informed of such changes in an appropriate form. The Siegert expert office reserves the right to change, suspend and temporarily or permanently discontinue TSE at any time with or without notifying the user. The user shall not derive any claims for damages or other warranty claims from this. 11.1 The user agrees that the details which he provides when registering as a user can be stored by the Siegert expert office and used to the extent necessary for the operation of TSE and the corresponding user forum. The user is obliged to notify the Siegert expert office immediately of any changes to his details. The Siegert expert office must obtain advance authorisation from the user before passing the details on to third parties. 11.2 In connection with the use of TSE, the user is forbidden to jeopardise data security at the Siegert expert office or that of third parties, or to explore the system functions or data on the facilities belonging to the Siegert expert office or third parties. 12.1 Solely the General Terms and Conditions of Business of the Siegert expert office apply. The Siegert expert office does not recognise terms and conditions which conflict with or differ from the General Terms and Conditions of Business of the Siegert expert office. 12.2 If one provision of these General Terms and Conditions of Business is or becomes invalid, the remaining General Terms and Conditions of Business shall remain unaffected by this. 12.3 In the case of uncertainty in regards to the translation or the interpretation of the terms and conditions of business or in any other case of doubt, the German text of the general terms and conditions of business will prevail. This agreement is subject to the laws of the Federal Republic of Germany. The place of jurisdiction for all legal disputes is Nuremberg (Germany).